☢ Will you Survive? Feel survival in family underground shelter! Fallout is falling! Fallout apocalypse... Prepare your bunker using useful stuff which will help you survive! The best shelter simulator! Mystery and weird stuff. There is no escape, live here is your prison.. Or maybe there is escape?... Try to collect everything in few seconds! 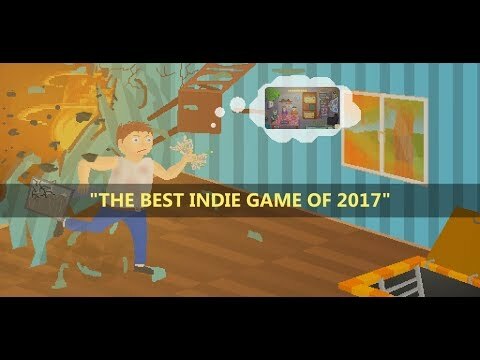 Try this indie 8-bit game now! Rush and never give up! Rush throught the mystery and weird story! - Online chat: it is! ☢ Turn worthless junk into useful items with Crafting! There are no rules! Rush through wastelands, explore all holes. Just try to survive the madness. ☢ You have only few seconds (only 30 or less) fast rush to collect as many useful stuff to you shelter then you have to go exploring wasteland for items or use crafting. Your every underground room hides useful devices and items. ☢ Many creepy and mysterious things will try to affect your post-nuclear life. Maybe it is good?... Anyway, try to protect your family and keep your body condition in good state. Safety is number one! ☢ Fell the fear of nuclear war, make good decisions! Remember about crafting! ⏩ Wonderful retro pixel 8-bit graphics! ⏩ Growing POTATOES, carrots and blueberries! ⏩ 5 rooms, garden and outside wastelands! ⏩ Google achievements and leaderboards! ⏩ 12 Languages: English, Polish, Russian, German, Chinese, Portuguese, Spanish, Turkish, Czech, Italian, French..
⏩ Rocket station with rocket fuel! ☢ You think you know everything about you living alone in underground in shelter and post-nuclear atomic life? Explore weird wasteland and try to survive, there is a lot of ways! Be careful of epidemic! A lot of fun in finding out what items really do or how to use your shelter's devices. The more you know them, the more chance you have to survive fallout plague! Crush all the rules. A lot of updates, small size! Survival in underground shelter is so strange... Be careful fallout is falling! Craft as much as you can and alive plague and loneliness. - Added new ending "Dig in mine to military shelter"
- Added new "potion": "Innocent Bomb"
Less updates but I am making new game which is mostly finished "The Hobo Idle Clicker"! - Bugs fixed, character don't need 100% energy to go out! - Lots of bug fixed, thanks to Discord users! - Discord sever link in social media! - Fixed lags/shuttering/slow bug... Finally! - !Marry Christmas and the happy new year! Test Desktop demo version before I publish it! - Expedition and bus ending fixed! - Added POLICE knocking to the doors! - Added new ending! Find spooky teddy, and finish his tasks! - I can't add more because I broke my smartphone and I am waiting for new one arrival. - Cheaper worktable! Only 75 coins! - Added interactive cut scene when you give light signal! - Added Card Game! Play solitaire and recover more energy! - Added "Air Filter" be sure it is working! - No special changes in gameplay. - I like sit at night on the empty car parking and stare on the asphalt. - Shirts stay after dead! - Fire extinguishers last longer! - Added new game mode "More locations"
[16.12.2017]- Fire in the shelter! (Be careful with furnce! )- Improved textures- Bugs fixed> Wow it is second half of December :O Times goes so fast...[15.12.2017]- New tablecloth "Star Mars The last Iedi"- Better menu textures- Bugs fixed> Who wants to build a snowman with me? :D[13.12.2017]- New dirtiness level- Dirty water has use in washing characters- Bugs fixed> New story of life: I bought a pizza with mushrooms, salami, olives ad cheese. It was tasty. [08.07.2017]- Save game code/password, now you can move your game data on another phone or reinstall the game without losing the most important data.